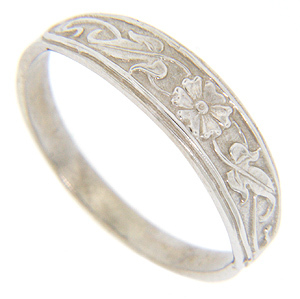 A flower and vine pattern ornaments the top half of this 14K white gold antique style wedding band. The ring slightly tapers from the center of the top to the ring's shoulders. 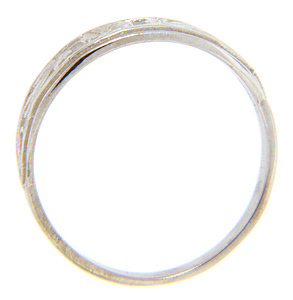 The ring measures 5.1mm wide at the top. Size: 6 3/4. We can resize.